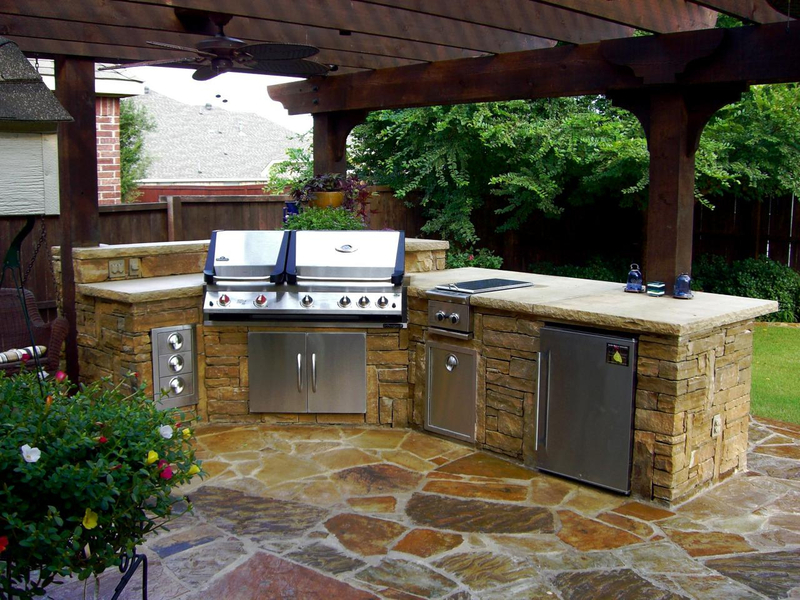 If you've been thinking of adding an outdoor kitchen to your yard, now is the perfect time to act. 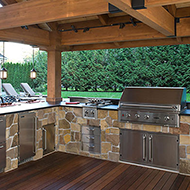 We are currently offering a $500 discount on all outdoor kitchen installation jobs, so you can enjoy a brand-new exterior kitchen without breaking the bank. 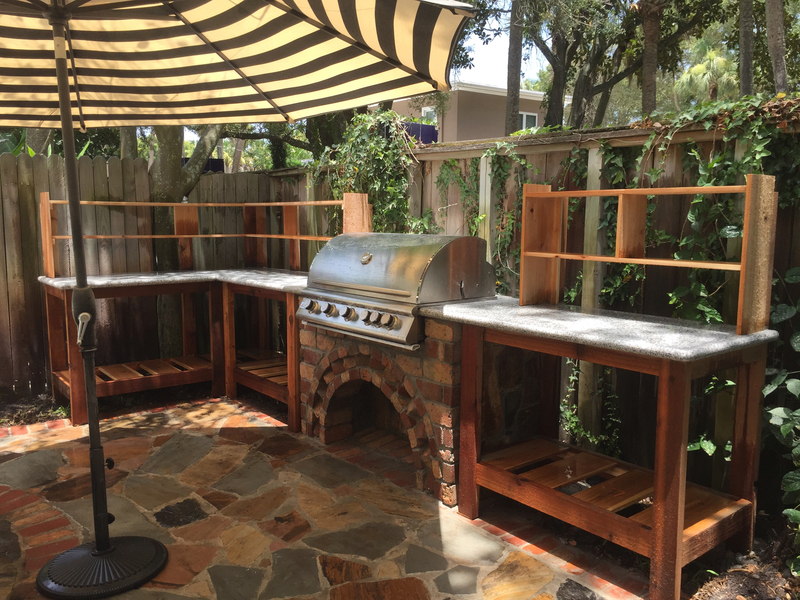 When you hire our company, you can rest assured that we'll take care of the design and installation of your outdoor kitchen from beginning to end. We'll start by determining your precise needs and desires for your kitchen. 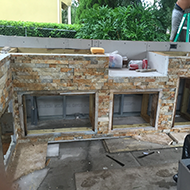 Once we've established a solid foundation to work from, we'll develop a detailed design plan. If you approve of our plan, we'll get right to work, delivering superior installation services to meet your exact specifications. 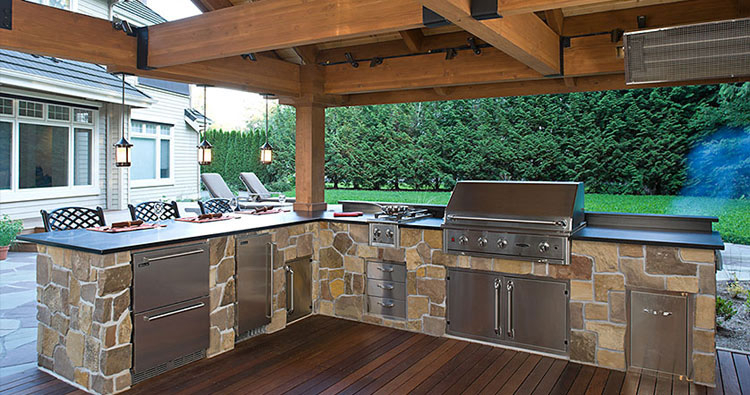 As your go-to outdoor kitchen company, we have a thorough understanding of both modern and classic design trends. Whether you're going for restrained elegance or bold lines and colors, we'll be able to create a kitchen that speaks to your unique taste. 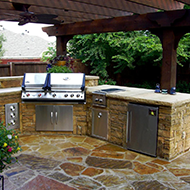 Our outdoor kitchen contractors will always treat you with the utmost respect, delivering on our promise of excellent customer care. There's nothing quite like preparing a meal in the outdoors. Whether you're grilling out on a sunny day or cooking a nicer dinner under the stars, you're sure to love the experience of making food outdoors. Your guests will love sitting outside and smelling everything as it cooks. For those who like to spend time outside, this experience simply cannot be beat. 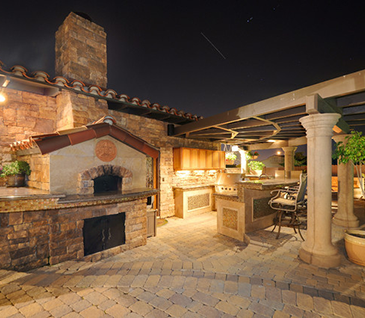 Not only is the atmosphere great, but cooking outdoors also prevents the odors of cooking from permeating your home. 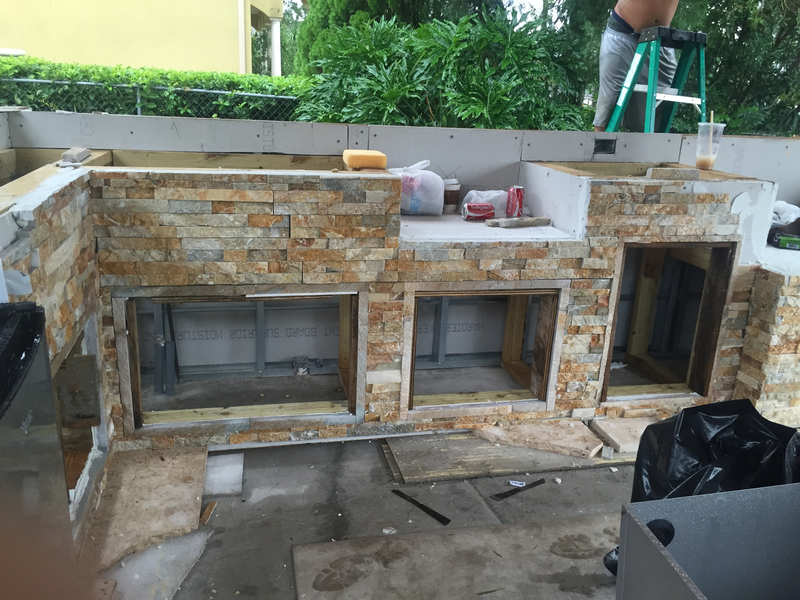 Our outdoor kitchen design specialists will create a specialized kitchen that allows you to enjoy this experience in your own backyard. 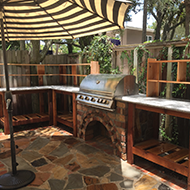 Contact us when you need an outdoor kitchen. We serve our customers in Jacksonville, Ponte Vedra Beach, Jacksonville Beach, Atlantic Beach, and Neptune Beach, FL.